Welcome Back! 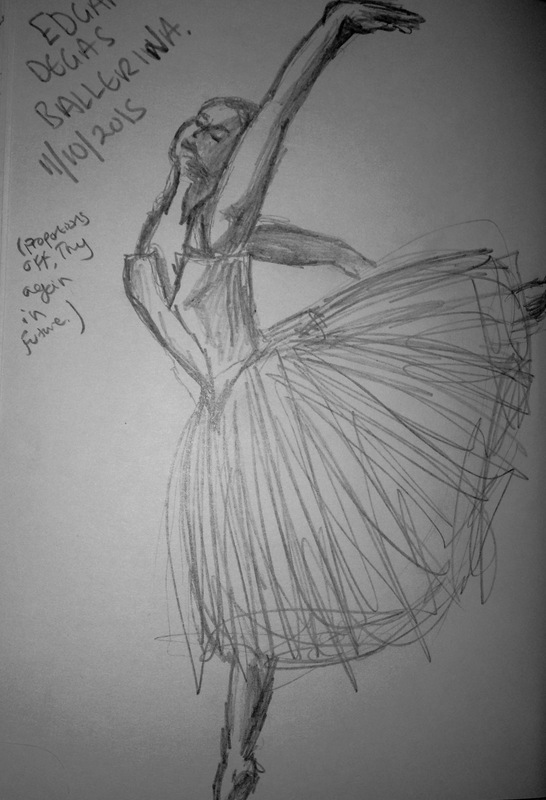 This week’s theme is Degas. I love the light and airy feeling of RJ’s piece. His colors palette reminds me of the blush tones the skin achieves when the body is active and further suggests movement and athletic nature behind a form of art that most – those with little idea of how much work and effort is applied by the artist – view as delicate. 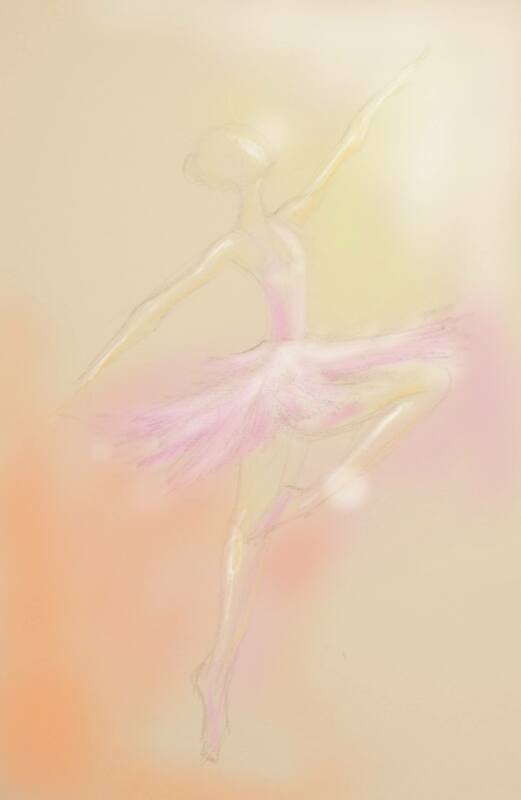 Karri – Pastel on paper. As always, Karri’s use of color is rich and dreamy. I feel like I am in a darken theatre looking at a stage and watching a blur of movement, color and light. 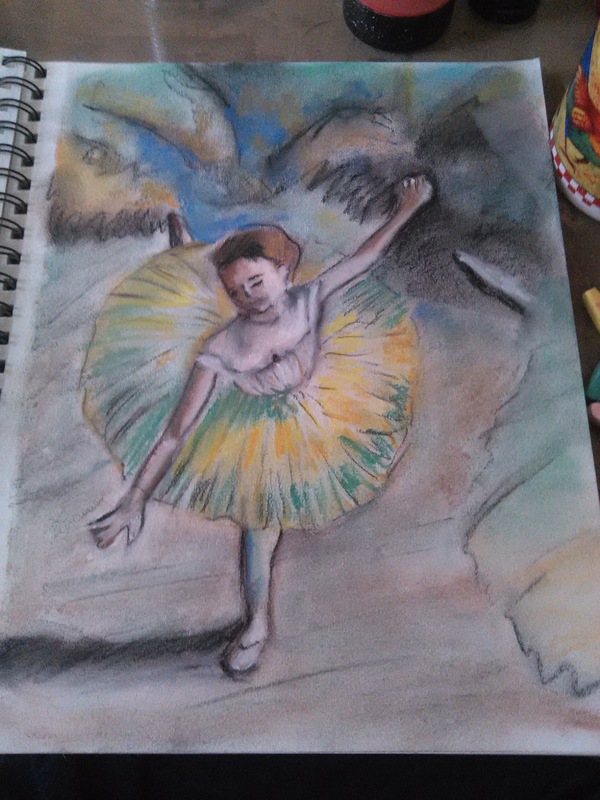 She definitely channeled her inner Degas through pastels and keen observation skills! I did some research on Degas for this week’s challenge and the details that stood out the most were his distaste for the En Plein Air methods of his contemporaries and his insistence that great art is the result of keen observation. 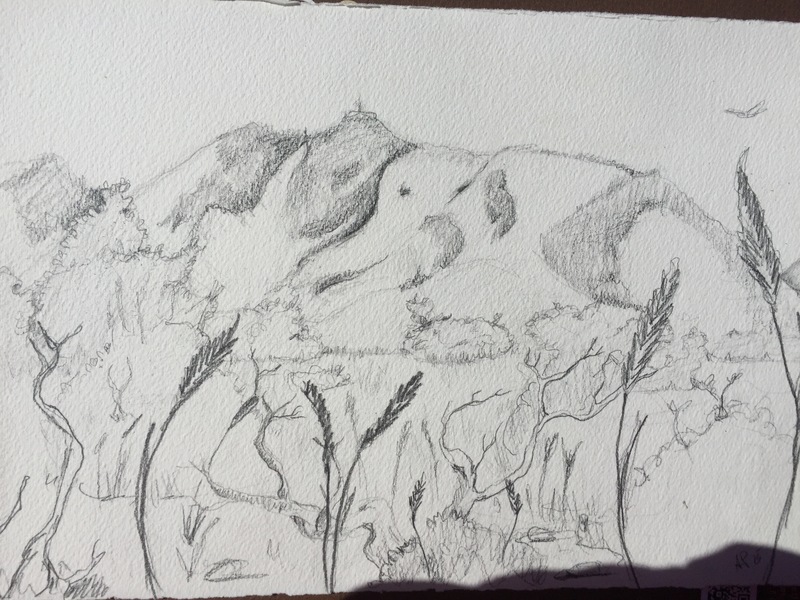 For this week’s pieces I decided to create two sketches ( plus one sketchbook doodle). 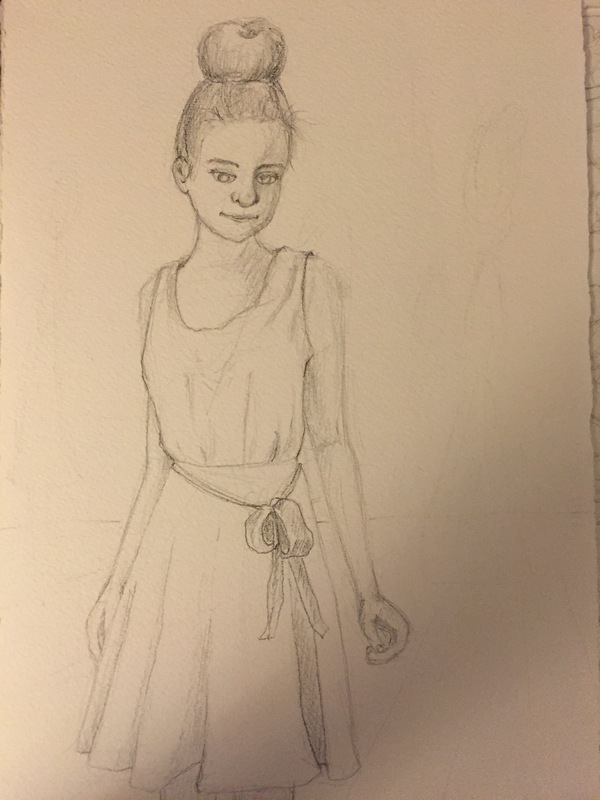 The first is of my niece, who’s natural stance has always been similar to a dancer, was drawn from a photograph. Many of Degas’s paintings had the feeling of a being a “snapshot”, presenting his subjects in their natural state instead of being posed and allegorical. 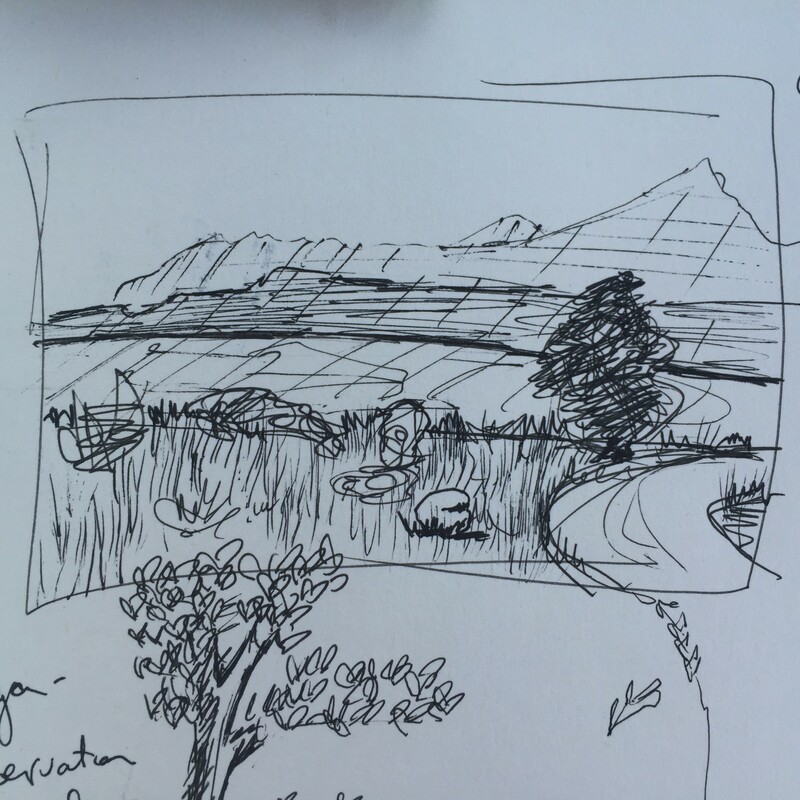 The second and third pieces are landscape sketches created onsite in Southern Utah and drawn in 20 minutes (the sketchbook image was in less than 5). I find it a bit ironic that Degas would mock En Plein Air since it requires the observation skills that he so greatly admired in the classical artists before him. I can’t help but wonder about his relationship to nature and how it affected his distaste for painting outdoors. Thanks for checking out our artwork!